Get Everything Done Without Doing Yourself In! People only move as frustratingly slow as we wish to get somewhere fast. We've all probably "run over" someone emotionally or hurt a friend, a loved one, or even a complete stranger while racing to get somewhere or do something "important." Then, we regret it -- most likely too late to do any good. When it comes to being in a hurry, what difference does it make how fast you can get somewhere when all you find there is the next thing for you to rush through? The following nine lessons contain special insights into the invisible pressure-filled states that cause human beings to run themselves ragged. The more clearly we can see that it's impossible to reach a place of rest by rushing to get there, the sooner we'll arrive at the true solutions that allow us to relax, slow down, and realize the relaxed pace of an inwardly liberated life. Study each of these lessons separately, but see them as telling one story whose happy ending goes something like this: You not only find the courage you need to step out of the rush, but you also awaken to a whole new order of yourself that gets everything done without you doing yourself in! Anyone who rushes through life always finishes last! This is a truth unseen by the masses, but evident to those weary of going nowhere fast. You race as you do to escape the unhappiness you feel being where you are, running towards what you imagine will free you from that dissatisfaction. But such races are always lost before they begin because you can't outrun yourself! All forms of momentum are mindless, but never more so than when a mind -- blinded by desire -- runs after what it wants without any awareness of its action. Patience is a great virtue whose cost is paid by becoming painfully conscious of what our impatience does to others. The rush to judgment is a race that nobody wins! Allowing the rushed state of another person to push you into an anxious state of mind is like letting the horse you're about to ride convince you to wear the saddle! You are well on your way to reclaiming your original fearless Self when you find your source of peace and contentment in just being alive. Rushing through life lends the one who habitually hurries the feeling of being "important," but loans such as these come at the high cost of always having to justify one's unkindness -- like when we have to convince ourselves that our impatience with others is a necessary evil along the way to that "greater good" towards which we think we run. The main reason it's wise to listen to one's own heart -- whenever we can step out of the rush and remember to do so -- is because there's much more to be learned from the parts of us that don't "speak" in words... than those that do. The most important thing to remember whenever you find yourself in a mad rush is that what you are really trying to get to is a quiet mind... a peaceable state of self reached only by realizing there is no place more empowering for you to be than in the present moment. 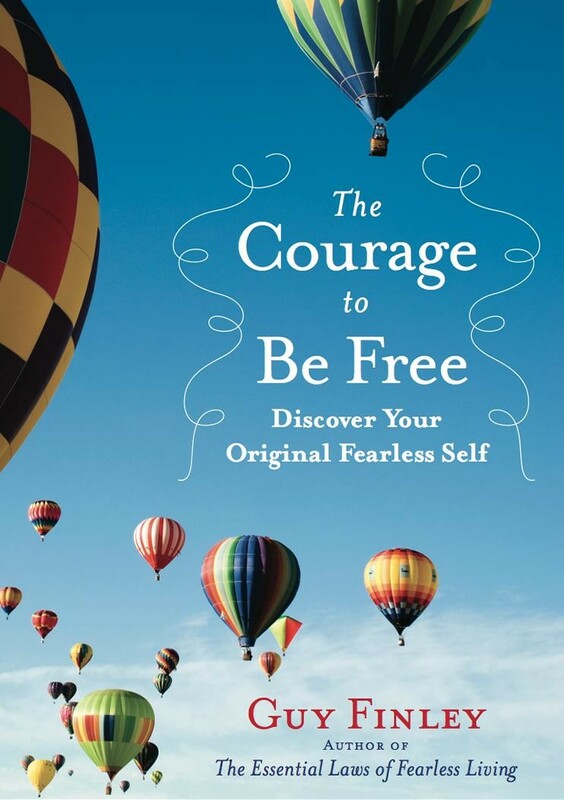 Excerpted From: The Courage to Be Free: Discover Your Original Fearless Self, pages 92-95.